2019 Dr. Deer's Whitetail World Field Day is Now Full! The 2019 Dr. Deer's Whitetail World Field Day has reached the maximum capacity! In order to maintain quality of the experience, we can no longer take registrations. Please consider coming next year; first Saturday in March, 2020. See you there. DEADLINE NEAR ON DR. DEER'S WHITETAIL WORLD FIELD DAY! THIS WEDNESDAY, FEBRUARY 20 WILL BE THE LAST DAY TO REGISTER FOR THE FIELD DAY. IT ALSO IS THE DEADLINE FOR DISCOUNTS AT THE FREDONIA INN HOTEL, SO PLEASE SIGN UP QUICKLY. GO TO THE EVENTS TAB TO SIGN UP. BEFORE YOU SPEND A FORTUNE BUYING “DEER LAND,” LET DR. DEER EVALUATE THE PROPERTY! Dr. Deer's Whitetail World team is excited to announce the 14th Annual Field Day registration is now open! 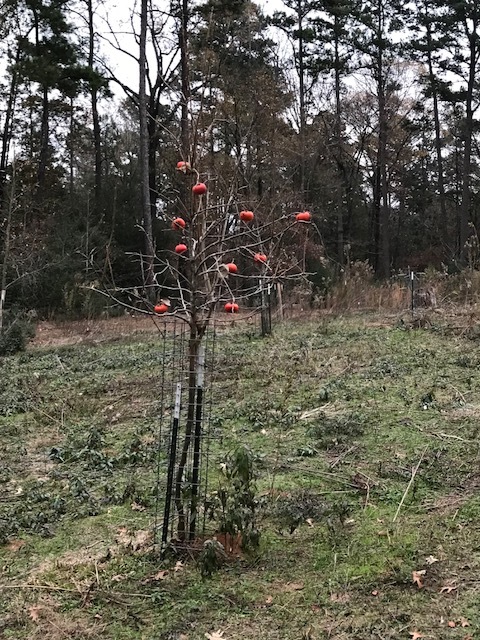 We have made outstanding progress during 2018 in many areas, including new fencing techniques for food plots, new varieties of fruit and nut trees, landscaping for whitetails, waterfowl management, patterning deer for hunting, and much more! This is a strictly limited attendance event, which each year fills up quickly. So, be sure to sign up right away. The price once again is $100, including barbecue lunch. There is a discount for couples and parent/child, $150. Click here to sign up; attendance is strictly limited. Our online course, Aging & Judging, is currently undergoing revisions and is currently not available. Please check back soon, sorry for the inconvenience! Dr . 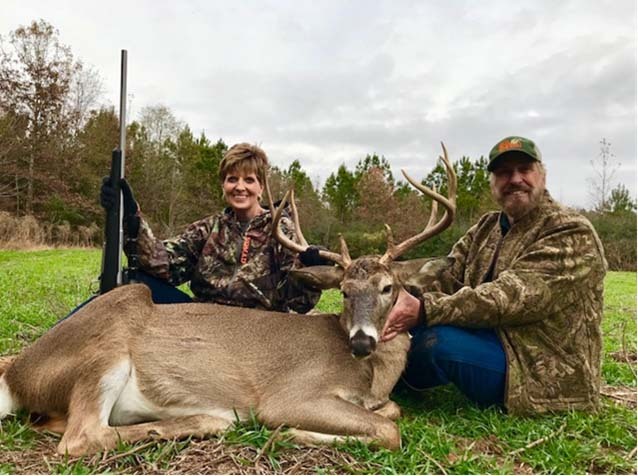 Deer is proud to announce the winner of the first annual trophy buck hunt contest is: Alison Guyton of Euharlee, Georgia! Alison is an avid hunter and involves her entire family in Deer hunting. Doc and Ben will host her this fall here at the Institute for a hunt of a lifetime. Thanks to to all of you who applied. Drs. Don Davis, Kenneth Waldrup, Greg Stewart and James C. Kroll have co-authored an exhaustive paper, Current Scientific Knowledge About CWD; which presents the documented scientific facts on the issues and knowledge related to this deer disease. If you want the pure facts, untainted by opinions, this is a must read! https://texasdeerassociation.com/wp-content/uploads/2018/05/CURRENT-SCIENTIFIC-KNOWLEDGE-ABOUT-CWD.pdf These scientists have a combined experience of over 100 years, and are respected in the community of wildlife and animal science. The conditions imposed by the authors were that the factional information they compiled in this document had to be totally objective and could not be influenced by any outside party, agency or interest group! Dr. Deer Trophy Whitetail Hunt Giveaway! Dr. Deer is giving away a free trophy whitetail hunt for the 2018 season at our research institute. The winning hunter will be guided by Dr.James Kroll (aka, Dr. Deer) for a buck scoring up to 150 B&C. The only thing that is not included in the hunt is your Texas hunting license and transportation to and from Nacogdoches, Texas. It is a three day hunt. Scheduling of the hunt will be on a mutually agreeable date. All you have to do to enter is click the button on the upper right of our webpage. The winner will be announced on August 1, 2018. You can only enter one time. All information requested will be strictly guarded for your protection. This is a secure website. Good Luck! Susie Lower Joins Dr. Deer Team! For years, Dr. Kroll has worked with Susie Lower in a host of projects on forest wildlife management. She is one of the best bird authorities we know. The Institute is not just about Deer; we live all the species that benefit from Deer management. 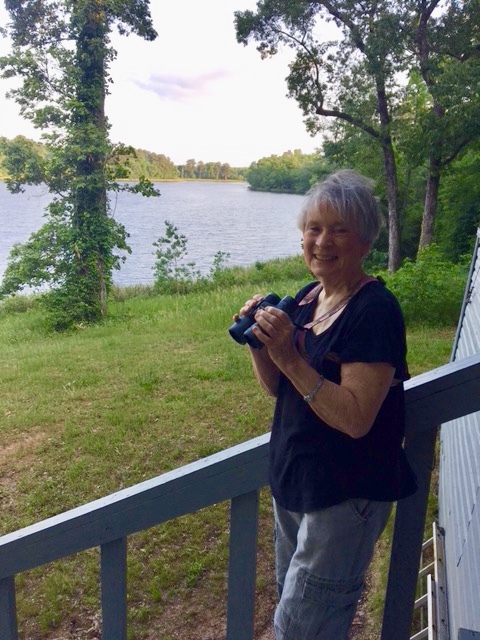 Sue has agreed to come on board as our Official Ornithologist, monitoring the birds inhabiting the research facility. “I really appreciate and enjoy working with Sue,” says Doc. She will be keeping us up on what is happening with birds! Welcome aboard, Sue. NATIONAL INSTITUTES OF HEALTH REPORT INABILITY OF MACAQUE MONKEYS TO CONTRACT CWD! For years, Dr. Kroll repeatedly has said that higher primates and humans cannot contract CWD by eating venision. Now, the National Institutes of Health has published their findings, and it proves me right! Dr. Kroll has been criticized many times for taking this position, but it was based on solid science, not sensationalism. Read this report. WHAT: Chronic wasting disease (CWD) did not cross the species barrier to infect cynomolgus macaque monkeys during a lengthy investigation by National Institutes of Health scientists exploring risks to humans. CWD is a type of brain-damaging and fatal prion disease found in deer, elk and moose; in humans, prion diseases can take more than a decade to develop. In the study, appearing in the Journal of Virology, 14 macaques were cerebrally and orally exposed to brain matter from CWD-infected deer and elk, and then monitored for up to 13 years. Macaques often are used to model human prion diseases because they are genetically similar to humans and are susceptible to several types of prion diseases known to infect people. Researchers screened tissues for prion disease using several tests--including the highly sensitive RT-QuIC assay--and found "no clinical, pathological or biochemical evidence suggesting that CWD was transmitted" to macaques, according to their paper. RT-QuIC is Real-Time Quaking-Induced Conversion, developed at Rocky Mountain Laboratories in Hamilton, Montana, part of the NIH's National Institute of Allergy and Infectious Diseases. A key public health concern is whether people who consume meat or products from CWD-infected animals are susceptible to prion disease. CWD was first identified in 1967 in captive deer held in Colorado wildlife facilities. CWD has been gradually spreading in U.S. wildlife and is now found in 25 states as well as in Canada. The disease also has been found in South Korea, Norway and Finland. Human prion diseases include fatal insomnia; kuru; Gerstmann-Straussler-Scheinker syndrome; and variant, familial and sporadic Creutzfeldt Jakob disease (CJD). Sporadic CJD is the most common human prion disease, affecting about one in one million people annually worldwide. Other prion diseases include scrapie in sheep and bovine spongiform encephalopathy, or mad cow disease, in cattle. Despite these findings, researchers suggest that people err on the side of caution and not consume meat from game animals that appear ill or thin, or are confirmed carriers of CWD. ARTICLE: B Race et al. Lack of Transmission of Chronic Wasting Disease to Cynomolgus Macaques. Journal of Virology DOI: 10.1128/JVI.00550-18 (2018). WHO: Bruce Chesebro, M.D., chief of the NIAID Laboratory of Persistent Viral Diseases, is available to comment on this study. CONTACT: To schedule interviews, please contact Ken Pekoc, (301) 402-1663, kpekoc@niaid.nih.gov. Registration for the 14th Annual Dr. Deer Field Day is Closed! Sorry, but the Field Day registration is closed. We would love to take more, but we want a quality, personalized experienced for the attendees. Be sure to register early for next year. It is always the first weekend in March and registration begins on 1 January. 14TH ANNUAL DR. DEER FIELD DAY IS NOW FULL! We are happy to have the Field Day full again for another year! If you still want to sign up, please contact us at 936.326.4156 and we will see if you can be accommodated. We limit attendance to provide a quality experience for all attendees. See you folks on the 3rd of March! Doc drove into the research facility (5 February, 2018) and here is what he saw! A doe fawn has come into estrus and has attracted a group of our big boys! Fortunately, they have not cast their antlers yet, and since they are some of our good bucks, the offspring of this little doe will have some pretty good genetics! Doc points out that our data show a doe fawn that reaches 60 pounds will breed, and 75% of the time her offspring will be a buck fawn! Those of you attending the 2018 Dr. Deer Field Day will learn about this and more! Who knows, we always find sheds during the tours and you may find some from these great bucks. To sign up, go to the events tab or click here. We are excited by the interest in attending the 13th Annual Dr. Deer Field Day! This month we will be conducting prescribed burns you will see at the event. This also is tree planting season and we will have two new Deer orchards to show you. There still is time to sign up, we would love to have you! The 13th Annual Dr. Deer Field Day is filling up fast, so please sign up as soon as you can to assure a place in this year's event. There also will be representatives of companies we have worked with for years at the Field Day to answer your questions about their products. Only those who have passed the test of time and testing are invited to the meeting, and their products really work! Attendees of the annual Whitetails of Wisconsin (WOW) meeting at Holcombe, Wisconsin we re treated to a day-long seminar by Dr. James Kroll on topics ranging from Deer management on private lands to venison processing and gourmet cooking. The WOW meeting was held at ParadiceShores 4 at Holcombe. Attendees were treat to a sampling of various venison dishes; including parts of Deer often discarded by hunters! Smoked ribs and peso bucho from deerbocks received high marks from attendees. WOW represents the Deer industry in Wisconsin, and Doc has a long standing relationship with them. Our 2018 13th Annual Dr. Deer Field Day is filling up fast, with almost half the available spaces complete. Now is a good time to register for the event (Click Here) so you will be assured of having a space! Each attendee will receive a Dr. Deer Challenge coin as a momento of the event. The Dr. Deer Challenge coin front and back. The 13th Annual Dr. 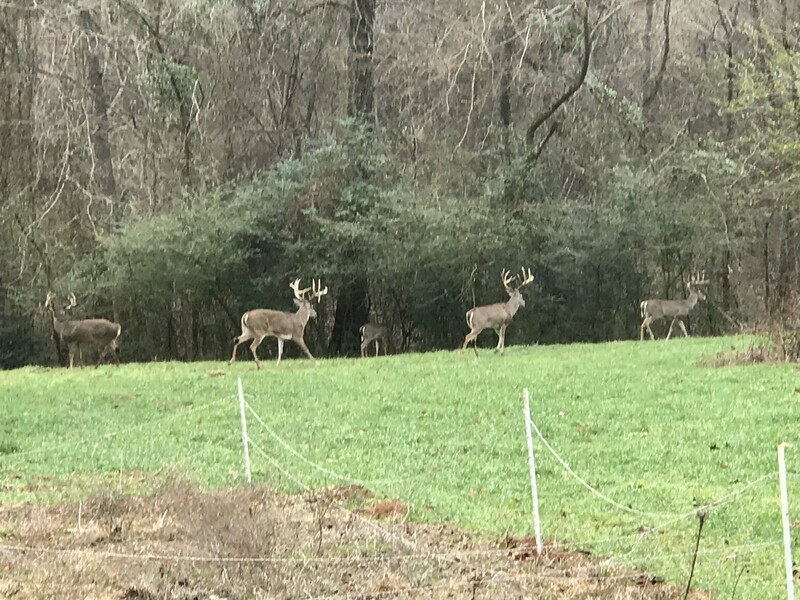 Deer Field Day will be held at our Research Facility near Trawick, Texas on Saturday, March 3, 2018. This year promises to offer even more developments to help YOU manage your land for better bucks and hunting! 2017 was a year of change for our facility. In order to maintain a sustainable supply of quality deer forage, you often have to disturb your habitats to set them back in succession, and we have done exactly that. 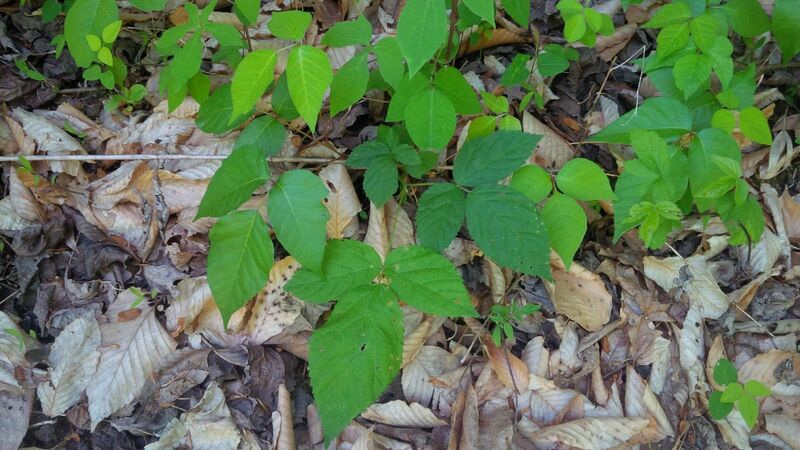 Our forested areas have long needed thinning to improve tree and forage growth, so we thinned a substantial portion of the property; as well as, conducted oak management practices to improve acorn production. 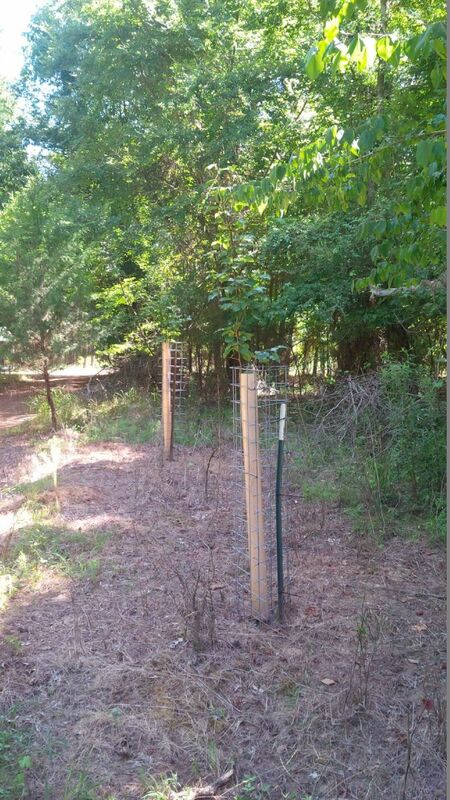 We also have added new, efficient fencing systems that you can easily apply to managing access of your deer to food plots. 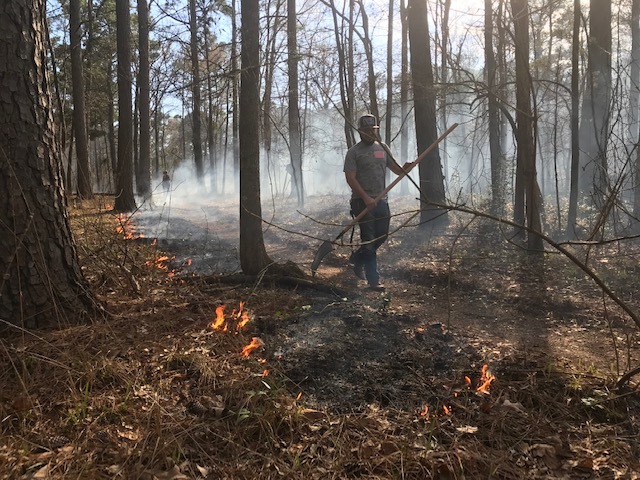 As always, weather permitting, we will conduct at least one prescribed burn with your help to show you have easy it is to use this inexpensive way of improving your habitat. We have a list of a dozen topics to be covered at the 13th Annual event. As usual, there will be a barbeque lunch served. To register and to see a schedule of events, click here. There is a family discount, as well as a discount for Dr. Deer Members. The assertion that CWD has spread alarmingly in Wisconsin is patently false! Reports of a 9.4% infection rate were erroneously calculated by dividing the number of positives by the total number of tests in 2015. There were 3,156 tests and 296 positives. Tests from the original CWD zone accounted for 65.7% of these tests; 54.5% came from the four index counties. The number of counties with positives in any one year has remained at 14 or less since 2010. At the same time, the often ballyhooed Illinois effort has spread to 16 counties. Testing in 2016 (6,000) was about double that of 2015; taking an average of 9 days to report (fastest in nation). The goal now is 48 hours! The link in the article between cases of human CJD and CWD infection rate is bogus on two counts. First, you can correlate anything! There is no cause-and-effect. The way CJD is reported has changed. Older humans tend to be most affected; and, the average age of Wisconsin citizens has increased 16% during the same period, and so has the USA. I already debunked the erroneously calculated CWD rate. The Canadian monkey study indicating transmission of CWD to them was a non-peer reviewed report; 2 of 18 macaques reportedly developed prion disease after being fed CWD-infected meat from deer and their fellow macaques. The same report included no transmission from blood transfusions and scarified skin. There are peer-reviewed publications reporting no transmission. How many millions of pounds of venison have been eaten since CWD showed up in 1967, with no cases of vCJD? The primary question of these folks is, What is your end game? (Crickets is the usual answer.) What do these people want? To return to sharpshooting and a bizarre array of seasons and bag limits that FAILED? They had their chance and it did not work! Is it to win at all costs? Is it more funding for academia? [Decades of research and millions of dollars have not answered the two most important questions: 1. What really causes CWD? 2. How do we manage it?] Is it to bring down deer hunting as a Wisconsin heritage? The greatest victim is the Wisconsin deer hunter. What will be the impact of this latest article on deer hunting? Loss of more hunters? Caution always is prudent, but in this case it is downright irresponsible! The anti-hunters have new allies! Warm season plots are the most neglected consideration in deer management! There are two stress periods for whitetails: late winter and late summer. There are two ways to supply critical nutrition through food plots during the most critical summer stress period. First, you can plant fall crops that have a perennial or near-perennial nature that will last through the summer. For example, red clover is a re-seeding annual that many times persists through the entire summer and stands up to heat much better than the often tauted white clover. Another example is chicory, which is a 5-7 year perennial that is best planted during cool, wet conditions (fall or spring), and puts down a deep taproot the first year. Second, we have found cowpeas in the South and soybeans in the north to make excellent warm season deer forages. The Institute recently developed a new cowpea (Dr. Deer Summer Peas) that has a small seed, but grows as much or more volume as iron-and-clay cowpeas. You can get these peas through senderoseed.com. We also plant peas and soybeans in the same plots with corn or a low prussic acid millet to give the peas something to climb on and provide additional carbohydrate. 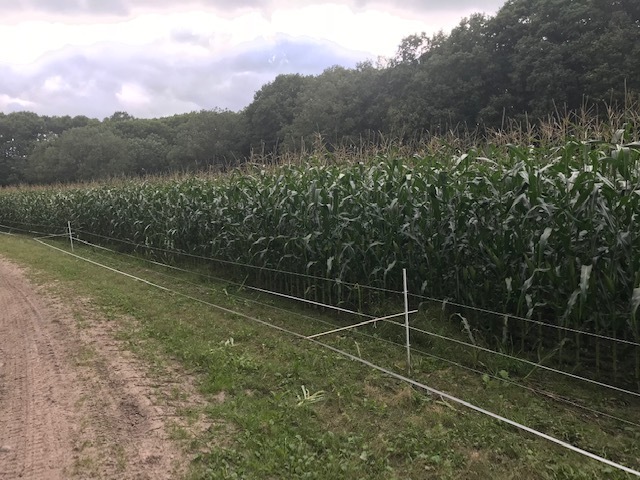 We always suggest using our three strand electric fence or our new netwire fence to protect your summer crop until the deer need it. In so doing, you can develop a "rotation grazing" system for your summer plots, by letting your deer into the plots until half the forage is consumed, then closing the fence to allow the forage to regenerate (about two weeks). It's March and time to begin your supplemental feedig progam (where legal). Dr. Deer recommends two products: Boss Buck Feeders and Lone Star Deer Ration 1500. Check the web for availability of the feed. 12th Annual Dr. Deer Field Day Great Success! The 12th Annual Dr. Deer Field Day, in spite of light rain, was a huge success on March 4, 2017! Attendees toured the Institute property in small groups, headed by Dr. Kroll, Ben Koerth and Rob Hughes, to see and hear about the latest deer management developments for private landowners. Topics and demonstrations included proper food plot development, plant varieties that really work, fencing of food plots, banking forages, thinning oak stands to increase acorn production, deer orchards, artificial water development, herbicides for whitetails, prescribed burning methods and a host of other topics related to landscaping your property for whitetails. Dr. James C. Kroll discusses the various fertilizer formulations and which to use for each aspect of forage management. Field Day attendees learned about two different ways to fence deer out of food plots until you want your deer to feed on them. Dr. Kroll demonstrates how to prune oaks for faster growth and acorn production; as well as, use of herbicides to thin oaks. DOZENS OF NEW MATERIALS ADDED TO PUBLIC AND MEMBER'S SECTIONS! We have just finished adding dozens of new items in both the public and member's sections of Dr. Deer! This includes hunts, behind the hunts, management tips, and much more. Field Day Registration About to Close! The 12th Annual Field Day already is shaping up to be another success! We plan on closing registration on Wednesday, March 1, 2017. If you haven't registered, we can take a couple more attendees; but, registration will close on Wednesday. See you all there. We are asking all Field Day registants to meet our vans at the Trawick Church, Trawick, Texas between 8:00 am and 8:45 am on Saturday (March 4, 2017). We will be taking you to the Field Day site by vans. Parking is safe and available at the Church. Trawick is about 5 miles east of Cushing, Texas on State Hwy 204. The address is 4410 St. Hwy 204. Over 200 New Articles Added to Our Site! We have added over 200 new articles and several videos to the site for your use. This includes both the public and member's reading rooms. Click Here for Public and Members should go to the Member's Portal and then to the Reading Room. The 12th Annual Dr. Deer Field Day has been scheduled for March 4, 2017 at the Institute Management & Research Center near Nacogdoches, TX. To register for the event, go to the "Events" tab and it will take you to our registration page. The Field Day begins at 9 am and continues until 4:30 pm; including a barbecue lunch and refreshments. Cost is $100 per person, with a discount for couples and parent-child (less than 18 years of age) to $75 per person. Attendance is limited to 50, and in past years we fill up quickly, so don't delay. Contact us if you have any questions. See you there! 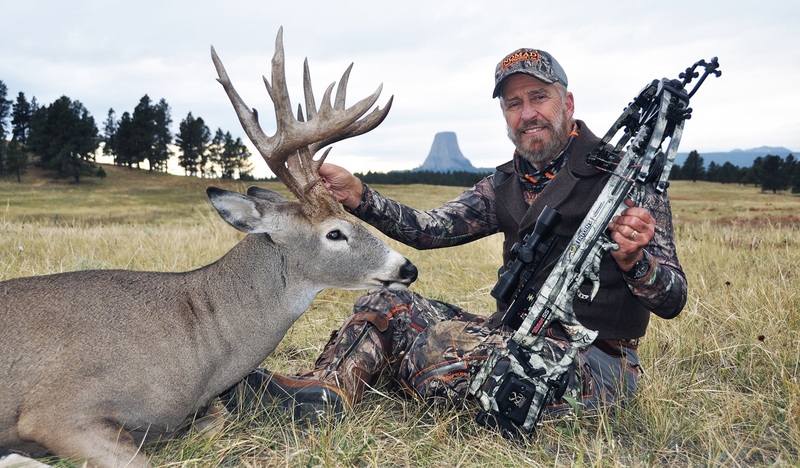 On Friday, September 23 at 1:08 pm, Doc managed to finally harvest "Bullet Proof," a monster buck on the Solitude Ranch Outfitters property near the Devil's Tower. Doc and his buddy Gordon Whittington had been hunting this buck for five days; during which Gordon took a fantastic buck. "I'll gladly take this buck," Gordon said, "so now you are saddled with killing old Bullet." The buck Gordon shot with his Ten Point Crossbow was every bit as good or better than Bullet; so, Doc did not blame him. The buck lived up to his name, as each time he saw him,something weird happened to save the old buck. Moving into a brushed in ground blind, Doc and his cameraman Justin Fabian had four opportunities att he buck; but the fourth time was a charm. The buck came into the artificial water provided by Ranch Owner and Game Manager, Mike Schmid, and the Ten Point delivered the fatal blow just behind the shoulder. The buck ran only 90 yards before flipping over on the edge of the timberline. 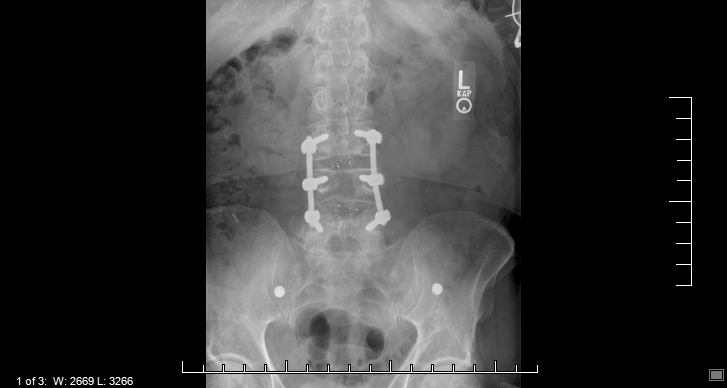 The huny came at a critical time for Doc, since he was trying to heal from back reconstruction surgery in July. "I was not sure if I could do the hunt," said Doc, "but thanks to God, and my friend Gordon, we got the job done. Hey, members ever wonder about what goes on with urban deer? Fact is urban populations are the only ones that are growing, and this is at an alarming rate! We have posted some new data on a study by Ball State University on recruitment in urban deer populations. It will surprise you! Annual Field Day Almost Full! The 2016 Dr. Deer's Whitetail World Field Day is nearing capacity. We only have a few seats left, so if you are thinking about signing up, please do so today. We will have some videos from the day uploaded to the site in the near future, for those of you who missed it. We also will be posting reports from the day. Two new Wildlife Management News Magazines have been added to the Public and Members pages. As always, Members have the latest copy to read in advance. Doc was honored ot appear with other old time outdoor personalities at the Dallas Safari Club Annual Convention on January 4-6 to comment on their life-long experiences with hunting, outdoor programming and, in the case of Dr. Kroll, insights into deer behavior. The hour long presentation was attended by a large crowd, who came to see legends such as Jim Shockey, Larry Weishuhn, Keith Warrent and Craig Bottington. The Dallas Safari Club is one of Doc's preferred organizations, and he does whatever he can to support them. Registrations for the 11th Annual Dr. Deer's Whitetail World Field Day are coming in quickly, with folks representing five states at this time! This year we are adding sessions and demonstrations on how to set up a trail camera deer census for your property. 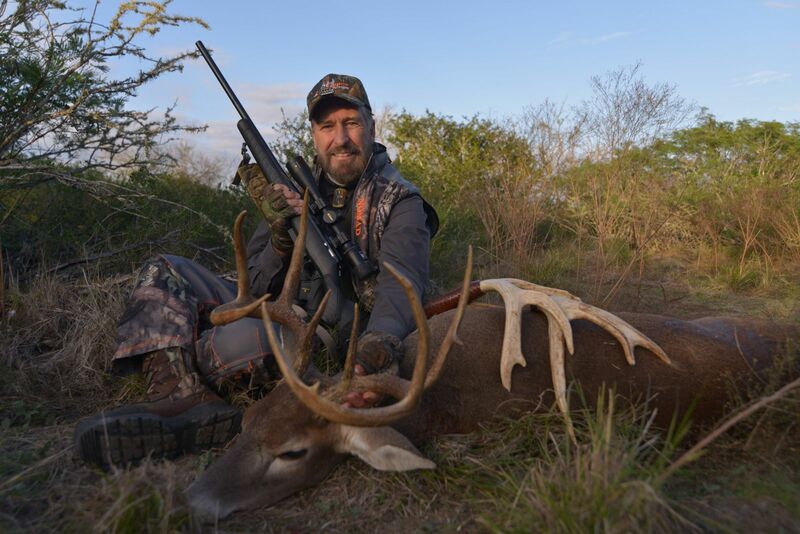 Dr. Kroll just returned from a week of filming two North American Whitetail TV hunts, taking two great bucks in South Texas. His first hunt was with Living the Dream Ranch near George West, where he was hosted by Gerald Hanning owner. "This truly is a place to 'live the dream,' says Dr. Kroll, and I certainly recommend hunting with Geral and his team." They rattled up several big bucks on a "running and gunning" walk across the Ranch. Doc then traveled just about 60 miles north to hunt with John and Linda Blackburn, Bar J Ranch, taking a great 10 point, mature buck. He hunted with his friend and colleague, Rob Hughes, who is a wildlife biologist and owner of Sendero Seed Company in San Antonio. The Bar J represents the Live Oak Coastal forests that extend from Central Texas to South Carolina; influenced by calcareous soils conducive to producing large numbers of deer. Be sure to catch these hunts next season on North American Whitetail TV. Deer and Deer Hunting Magazine (online) often has been "out there" on various deer issues; even attacking Dr. Kroll for his work in Wisconsin. However, we like to give credit where it is due and recommend you read the following editorial on CWD. It is exactly what Dr. Kroll has been saying for years! Click Here to read. We have added 5 new items on the website, three in the member's section and two in the public reading room. members can read about antler restrictions (do they really work), Breakthroughs in CWD Research, and "Show Me the Data" a critical analysis dealing with questions about the data being used by game agencies to make decisions that affect YOU. The public reading room additions include: DIY Hunts for the Whitetail Slam and What new research is needed about whitetails? Watch for more updates to follow! Dr. Deer no longer endorses Gunnyart T-post mounts for trail cameras. The Seal is extended to products free of charge that meet Dr. Deer standards and approval. Don't miss the TTHA Extravaganza in San Antonio August 21-23. Come on out and talk deer hunting and management with the Dr. Deer team. Appearing with them will be Rob Hughes of Sendero Seed Co., a Dr. Deer Certified seed dealer. The Dr. Deer's Whitetail World area contains all the products and service which have received the prestigious Dr. Deer Seal of Approval, after serious testing and evaluation. "We are tired of consumers getting ripped off," say Dr. Kroll,"and we only recommend things that REALLY work." our name is the most valuable thing we have and we refuse to promote or sell anything that sheds a poor light on the Dr. Deer brand. The age of the buck on this page is 4.5 years. How do we know? He is one of the thousands of bucks we have captured as fawns and yearlings in several areas. Later we either recapture them or get a photo on a trail cam. Their ear tags are uniquely numbered and color coded for year. Next week, we will post another buck, along with an explanation about why this buck shows 4.5 year old characteristics. Dr. James Kroll and Ben Koerth were at the Ft. Worth TTHA Extravaganza August 14-16, appearing each day at the Dr. Deer's Whitetail World section, where Dr.Deer Certified products were made available to hunters and landowners. The Whitetail World exhibit will be featured at the San Antonio TTHA Extravaganza August 21-24 at the Freeman Coliseum. Food Plot Planting Net Worth Exceeds $23 billion! According to the U.S. Fish & Wildlife Service and Peterson's Hunting Magazine, in 2010 landowners and hunters spent $703 million on food plot plantings. Using a 3% discount rate, that makes the food plot industry have a present net worth of over $23 billion! This might explain why so many companies have appeared on the outdoor market in the last ten years, and also why there is so much competition and hype about various plant varieties. it seems folks are looking for a "magic bean" to grow big bucks with very little effort! Research here at the Instiute for White-tailed Deer Management & Research over the last four decades, however, have claerly shown that only a handful of food plot varieties are truly useful to deer management; including cereal grains and corn, clovers, chicory, cowpeas and soybeans. "There is not a single plant variety on the market today," Says Dr. Kroll, "that we have not tested intensively; and most have come up short in one way or another." The hype associated with food plot seed often leaves the consumer confused about what works and what does not. Check out some of the materials on our web site to help you make sound decisions. As always, you are welcome to send us your questions. This mixture of cowpeas and cereal grains has proven to be a time-tested summer food plot in the southern United States. Over 20 years ago when we first came out with materials (see books and videos) on aging deer live onthe hoof, we were criticized by professionals, who said: 1) you cannot accurately age deer live, and 2) if you could we could not teach folks like YOU how to do it! Well, the first year the video was available, we sold 50+ thousand copies, and the book was a best seller. Today, we see almost everyone of these "critics" offering opinions on TV or in magazines about the age of some buck or doe. QDMA and other organizations regularly include this feature in their shows or publications. The problem is, they often use a panel to make the final decision, wihtout even knowing the true age of the deer. So you can learn better, we now include on the front page a photograph each month of a KNOWN age deer, then at the end of the month we will give you the exact age. You can send us your opinion through the Contact Us section. Have fun! Dr. James C. Kroll has weighed in on the CWD situation in Texas. According to Dr. Deer, the "Sky is Not Falling" and folks need to find out the facts BEFORE reaching a conclusion as to the cause and potential effect of the disease. Dr. Kroll served under Governor Scott Walker as the Wisconsin Deer Trustee to address CWD and other issues. Click Here to read his article and then Click Here to read his entire Wisconsin Trustee Report. Like everyone, Doc has his heros! Recently, the Texas Trophy Hunters Association and Magazine held its 40th Anniversary celebration in San Antonio. It was great to spend time with men and women who created the first magazine devoted solely to deer hunting in 1975. Doc sat down with buddies Al Brothers (left) and Horace Gore (center) to talk about deer, deer hunting and the "Good Ole Days." Al is the unchallenged "Father of Deer Management," and Doc not only values his friendship, but frequently consults wtih Al on critical deer management issues. Check out his book, "Producing Quality Whitetails," which was instrumental in development of the Quality Deer Management Association. Horace and Doc have also been friends for almost 40 years. Horace and Al were students together at Texas A&M, and have some fantastic tales about their exploits as Aggies. "What I admire about Horace," says Doc, "he is a life-long learner and and a wise man." It was Horace's advice that led Jerry Johnston, Gene Riser and me to create the Texas Deer Association." In this age of TV hype and glitz, real pioneers like Al and Horace do not get the credit they deserve. The new Dr. Deer Pears we developed continue to amaze us! Most of our two year old trees have fruit on them this year. The only problem we have encountered so far is some managers planted them too early in New York and a cold snap of less than 20 degrees killed a portion. ALWAYS either plant fruit trees in the Spring after all danger of heavy frost is over, or better yet, in the early Fall to allow time for them to form roots. Dr. Deer Pears come in two forms -- bare rooted or potted. Bare root trees will form roots after they are planted and potted when they are placed in the pots. We now are looking at a new plum, but will not complete our evaluations until 2016. Stay tuned! The photos below show properly planted Dr. 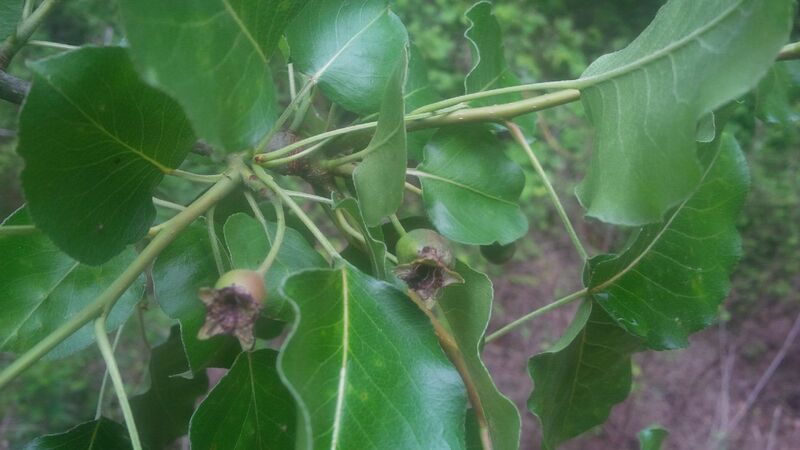 Deer Pears in April (left) and in July (right). Note the protective tubes and wire protectors on each. We spray around our trees in Spring with glyphosate to eliminate weed oompetition, and put down a 4 ft X 4ft ground cloth around each tree. You will be amazed how this helps. Although these trees are "technically" two years old, they were produced from buds from the only tree in existence, which is 15 years old. That is why they fruit quickly. Dr. James C. Kroll was presented with a recognition award by Karl Kinsel, Executive Director of the Texas Deer Association for his work in co-founding the Association with Jerry Johnston and the late Gene Riser. Since founding by these men, the organization continues to grow, and if you are interested in trophy deer, this is an organization for you. Dr. James C. Kroll, Jerry Johnston and the late Gene Riser co-founded one of the largest trophy deer management organizations, the Texas Deer Association, back in 1999. Since then, the TDA has been a strong voice for intensive deer management, not only for Texans but anyone interested in producing better bucks. Executive Director, Karl Kinsel, presented this Founding Father Award to Doc at the Texas Trophy Hunters Extravaganza in San Antonio. Doc was surprised by Karl during one of Doc's seminars. It is extremely rare when Dr. Deer endorses any product. Each product or service must pass an independent test for quality, reliability and service. Only after passing our research and testing are products given the coveted Dr. Deer Seal of Approval. So, we have added a new section (Product Endorsements) to present why we have endorsed new products. We have added yet more videos to our archives for you to enjoy. Be sure to check them out. Visitors can go to Dr. Deer's Reading Room and Member's should go to the Field Notes section of the Dr. Deer's Member's Reading Room. Web Site "Rips Off" Dr. Deer! 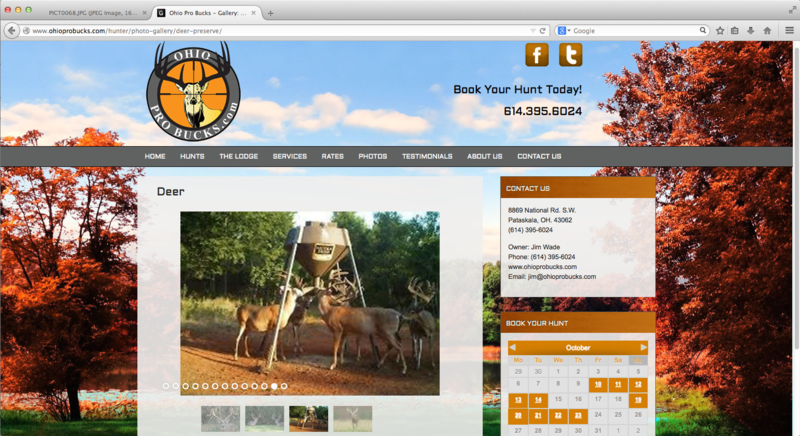 It recently was brought to our attention that a deer hunting web site (Ohioprobucks.com) was using one of our photographs of our deer at a feeder to sell their hunts. They clearly state that the deer in the photograph are from their hunting property. We have notified them of this unethical activity and demanded they remove the photos. 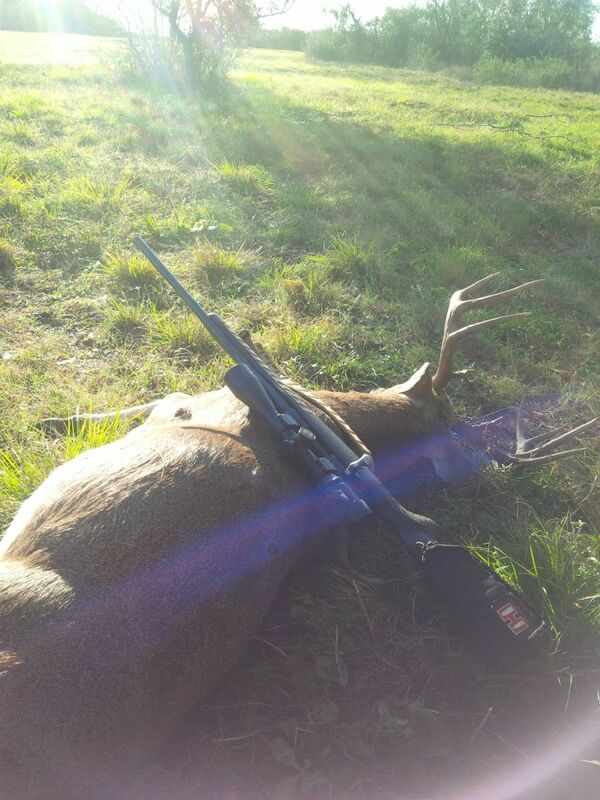 What that says about Ohio Pro Bucks Hunting can be your own conclusion. Integrity means everything to Dr. Deer; our name is the most valuable thing we have. Dr. Kroll is noted for being a pioneer in white-tailed deer biology and management. It hard to comprehend that he has been writing for 40+ years about the species. We just posted (click here) a copy of an article he wrote back in 1987 about his landmark patterning research. We thought you might like to read it, although little has changed since that time. Your browse plant of the week is this one. What is it and what is the whitetail preference. The answer will be posted next week. We just uploaded dozens of new videos in both the public and member's sections of the site! Be sure to check out Educational Videos and Ask Dr. Deer. More coming, we are on a roll. Each week, we receive hundreds of inquiries through the Contact Us section of the website. We are continuously amazed by the folks who are surprised we actually answer them! Each week, we will feature the answers to questions, both on the public and member's sections of the site. Who knows? Your question may be featured! Of course, we will keep your name anonymous, just using your first name and the state you live in. There is new hope for truly managing CWD in whitetails. Dr. Kroll recently published an update on the latest advances in the Journal of the Texas Trophy Hunters. Click here to read the article in Dr. Deer's Reading Room. It was only five years ago when Dr. Kroll discovered a strange pear growing on the research facility. Thinking it was just a "wildling," he almost killed the tree with herbicide,but decided to watch it for another year. That single tree turned out to be the parent of the greatest revolution in fruit trees for whitetails! Starting with only a few buds, Dr. Kroll had them budded to root stock. Then there were about 40 young trees, followed the next year by 100, and in 2014 there were a 1,000. We were excited that single buds grafted in February grew to 8 feet in height by July! In Fall, 2014, we made our first outplantings of the young trees, and were shocked to see them produce fruit this year! Here are some photos of a properly planted tree (discussed later) and a closeup of fruit just taken this morning (21 April, 2015). We will be offering bare root trees next winter for you to plant, and Dunstan Nursery will also make them available through their outlets. The real benefit to using Dr. 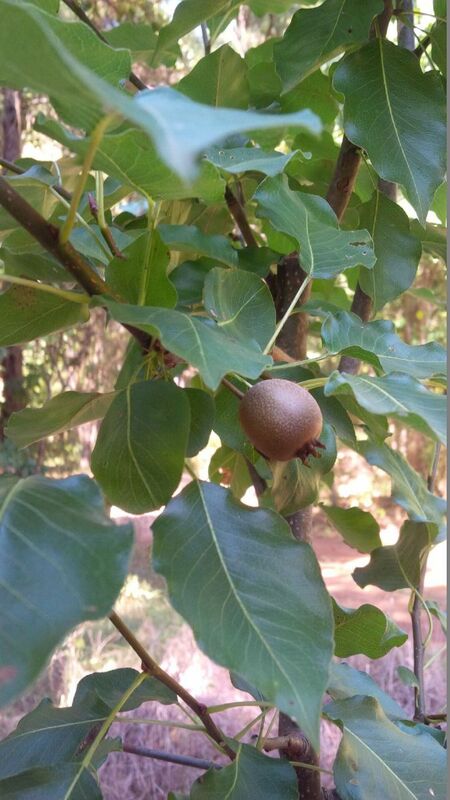 Deer pears is that they have small fruit in clusters and tend to hold onto them well into late fall. We are excited!! ANTLER RESTRICTIONS, DOC'S TAKE IN 1998 STILL RELEVANT TODAY! Back in 2008, Dr. Kroll wrote an article for North American WHITETAIL Magazine reviewing the history of antler restrictions and how well they have worked. By 2015, several states have enacted similar restricitons, based on an array of yearling protection strategies. We thought you might enjoy reading this historic document and think about the concept for your area. Click Here. 2015 Dr. Deer's Whitetail World Field Day Huge Success! The 10th Annual Dr. Deer's Whitetail World Field Day (March 14th at the Research Facility near Nacogdoches, TX) was huge success, with the attendance limit of 50 being reached far in advance of the activity. Attendees were treated to a host of hands-on presentations, ranging from cool and warm season food plots, to use of herbicides to improve whitetail habitat. In addition, the Dr. Deer Approved and Dr. Deer Preferred product and service providers were in attendance to present the latest technologies in deer management and hunting. These included Boss Buck Feeders, Buck Forage Oats, Trophy Totes, Sendero Seed Co., South Texas Tripods, TenderBuck, Gunnyart Products (T-Post Camera Mounts), Angry Buck (The Stage)Scents, Chestnut Hill Nurseries, Golden Valley planters, Lone Star Feed and Seed, and Rio Grande Outfitters. This was a special time for all, especially since it marked the inaugural presentation of Rio Grande Outfitters as the first Dr. Deer's Whitetail World franchisee. Owner, Jim Kniestadt is a long time friend of Dr. Kroll and Ben Koerth, and we are proud to have him associated with the Dr. Deer Brand! Dr. Deer's Whitetail World offers only products and services that have earned the Dr. Deer Seal of Approval, meaning that they represent products and services that REALLYwork! Jim Holbert who publishes the Wildlife Management News Letter (Wildlife News) came down from New York with three of his friends and partners-- Mark and Sal Peretore, and Jamey Behonyi-- and they were treated to a pre-Field Day shed hunt on the facility. They a host of sheds, many of which were world class, but also found one of the bucks lost during the rut; a fine typical 6 X 5 five year old. We hate to lose any buck, but when one like this is lost, its a shame some lucky hunter (particularly a young person) missed out on bagging a monster. Yet, we have many more and the loss soon will be replaced with yet another monster buck. Jim and Dr. Deer are partnering on making Wildlife Management News into a full magazine with broad geographic appeal. So, watch out for an announcement soon. Sal Peretore displays his "trophy" while searching for cast antlers on the Dr. Deer Facility. 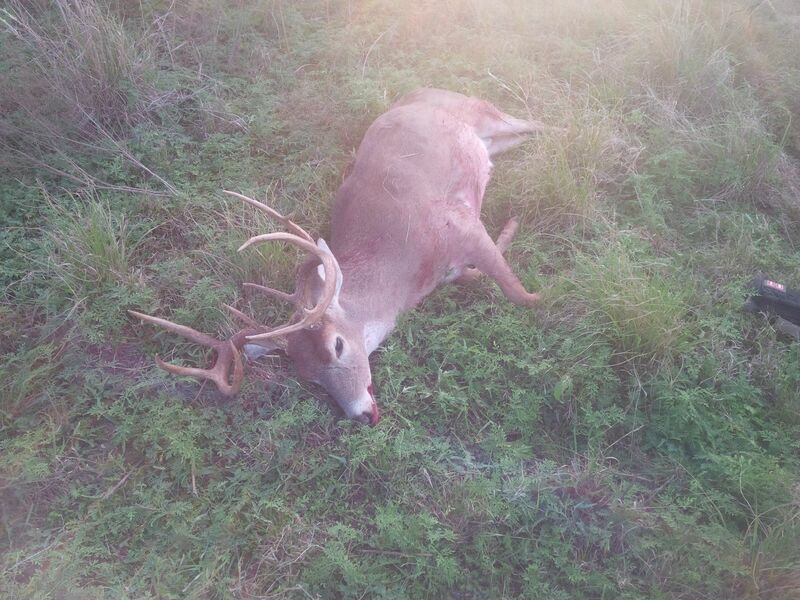 The rut can be stressful for mature bucks, and we think this five year old died of pneumonia. We are adding new material daily to the Public and Member's Reading Rooms. Check out the material, and don't forget to use the search function for a particular topic. We rotate materials out of the Member's Reading Room periodically to the Public Reading Room. Dr. Deer Reveals the Secret to Success in Trophy Hunting-- Staging areas. Doc recently completed four years of work on the scents produced by deer and deposited on signposts in staging areas. Members. this is a must read. Read "Taking Center Stage." As you know, it is rare when Dr. Deer endorses a product, but when we do, you can be sure it IS a quality product. Brian Hicks, owner of TrophyTotes, is a long time associate with the Institute and we love his product! There is not a single soft-sided cooler bag on the market that even comes close to his. One of the greatest issues for any soft-sided cooler bag is leakage; usually because the materials used to line the bag or the way they are joined allows water to leak out. After three years of testing, we have not found the TrophyTotes to leak one drop! So, we urge you to use this product. You can go online to purchase yours, or soon we will offer them on this site. Click Here to Check Them Out. Dr. 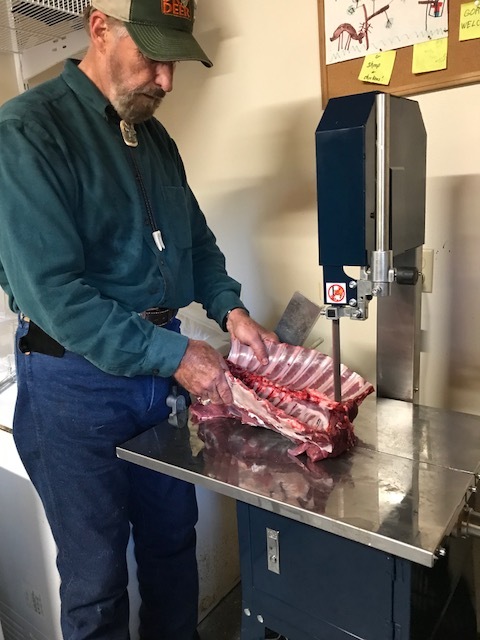 Deer Team Member, Wayne Sitton, has produced a great "News from the North Country," presenting our strategies for providing quality foods for deer in the Far North Snow Country. If you think you cannot produce food plots and supplemental foods in areas with hard winters, we think you will change your mind after reading this installment. Dr. Billy Higginbotham, Professor and Extension Specialist at Texas A&M University, has joined our online education team, offering a new course in Warm Water Fisheries Management, and contributing to our Ecology, Management & Harvesting of White-tailed Deer course modules. 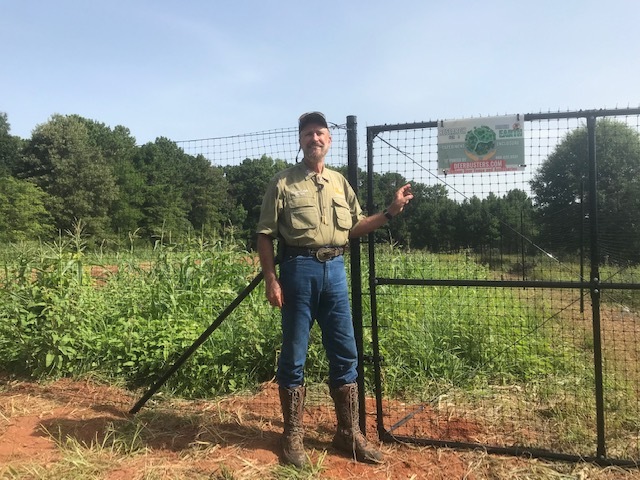 Dr. Higginbotham is a unique individual, in that he is both an expert on warm water fisheries management and wildlife management; particularly in food plots and wild hogs. The new fisheries course should be available next month, along with his new module: Biology and Management of Wild Hogs in a Whitetail World. We will announce the availability of his courses as soon as they are completed. The 10th Annual Dr. Deer's Whitetail World Field Day will be on Saturday, March 14, 2015. Folks are signing up fast, and there are only 50 spots open this year, so don't delay! This year promises to be better than ever, with experts such as Dr. Billy Higginbotham, Dr. Larry Redmon and Dr. Steve Harrison presenting the latest information on things that really work in managing deer on YOUR property. Click here to register for the day. 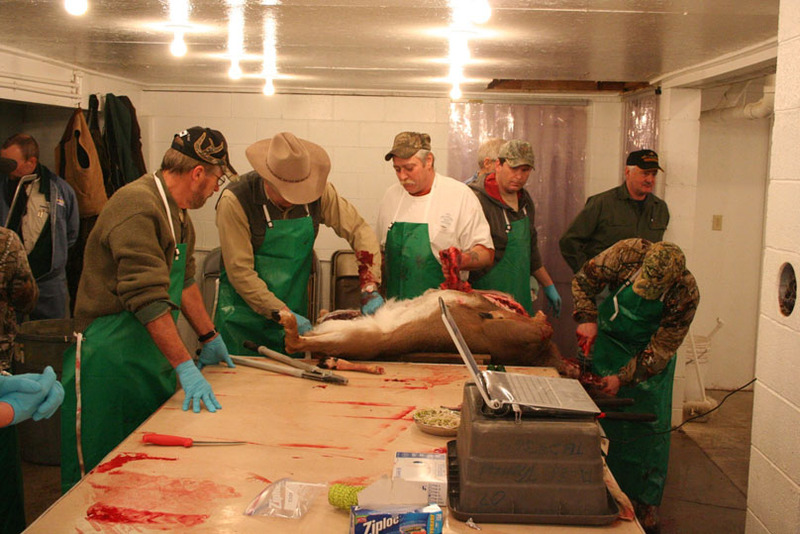 Each year, Dr. Kroll conducts a live broadcast of the annual deer necropsy (health check) at Turtle Lake Club, Hillman, Michigan. Those who tune in get to see examples of the various metrics we use to manage deer herds; plus diseases and parasites. This year, you are invited to attend the necropsy, help out, and learn a great deal about deer anatomy. The necropsy generally is conducted on the second Saturday of February, but the date is not firm right now. We are only taking 5 individuals for this, and there will be a charge to handle housing, transportation and meals. Attendees will arrive on Friday at Alpena Airport or drive in, arriving after lunch. We will have a social held at a nearby facility, followed by the necropsy on Saturday from 8 am to 5 pm. Attendees can leave any time after noon on Saturday or Sunday morning. Of course, if you cannot attend, you always can watch our Internet broadcast. If interested, please contact us (Click Here) ASAP, as it will fill up quickly. Members will be given preference and a discount. See you there! Doc is hunting with Larry Porter of Ken Tenn Hunting, near Dawson Springs. Larry is a great hunter and really manages the farms he owns or leases around Caldwell County. He only takes a few hunters to offset his costs, so if you are lucky enough to hunt with Larry, you have an excellent chance to harvest a good specimen of Western Kentucky whitetails. Go to Dr. Deer Facebook page to see what happened! We are proud to announce the latest addition of Wildlife Management News (2014-3) is now available to members, Click Here. For Non-members, we have moved Wildlife Management News (2014-2) to the Public Reading Room location. This is the best publication for serious deer managers and enthusiasts available! For some time, we have been working with Jim Holbert who publishes "Wildlife Management News." Dr. Kroll even writes a column for the eNewsletter, which includes products endorsed as a Dr. Deer Certified Product. Only products tested by the Institute and proven to work, or those whose development included collaboration with Dr. Deer achieve this high award! Wildife Management News is one of these products or services. Jim Holbert is a man of utmost integrity and dedicated to the sound management and hunting ethics of whitetails; and, we wholeheartedly endorse the newsletter. You can access back issues of Wildlife Management News in Dr. Deer's Public Reading Room, and the latest issue in the Member's Reading Room. Enjoy and learn! Members! Catch Episode 1 of WHITETAIL SLAM on the Members' Section. Learn about a day in the life of a buck. If you have not joined Whitetail Slam or enterred your bucks, Click Here to find out more. Dozens of New Materials Added to Site! We have added dozens of articles and media to both the public and membership portions of the Dr. Deer Website! Over the next few weeks, you will find even more material. Be sure to use the search function to aid you in finding out what Dr. Deer has said or written about a host of topics. Dr. Kroll recently released a white paper on what we really know about CWD. Click Here to read it. Whether or not spiked antlered yearlngs are genetically inferior has sparked debate among hunters and biologists for generations. Dr. James C. Kroll and Ben Koerth completed and published the most comprehensive study ever done on the subject. Click here to see their work. CWD will not make elk or deer go extinct! In 2003, Dr. James C. Kroll stuck his neck out on national TV (Texas Trophy Hunters), boldly predicting CWD would not make deer or elk become extinct, and the eradication efforts by the Wisconsin DNR wouid be unsuccessful. Well, over a decade later, deer are in high numbers near Mount Horeb, Wisconsin; and elk populations flourish in the epicenter of the CWD area in Colorado. Now, scientists have published an article (click here) that validates Dr. Kroll's claim. "It is not that I am some sort of 'seer' or anything," says Dr. Kroll, "i just applied good old fashioned common sense, plus what I was taught in school about natural selection." There were two reasons for Doc to make this claim. First, CWD does not become clinical until later in life, long after does or cows have produced numerous offspring. Second, there is a resistant gene in cervids, which extends the life of exposed animals. This gives the ones with the resistant gene a selective advantage over those lacking it, slowing increasing the percentage of the population with resistance. Wyoming scientists have found the same thing in their simulation studies. Doc is a firm supporter of science, but it is "good" science he prefers to see being practiced! The new season of Whitetail Slam aired its first episode of the season, with wonderful comments from viewers. The show is aired twice each week, with prime time showing at 7:30 pm (EDT) on Sundays. "I am proud and honored to be the host," says Dr. Kroll, "working with men like Tom Miranda is a real pleasure." Doc points out Tom is probably the best hunter he has known, and the show merges their love of deer hunting and perfectionism in TV programming. "We wanted to produce a show that both entertained and informed the viewer," Doc adds, "and I think we hit the mark dead on!" He reports that more and more, viewers are asking for more informative shows; ones that make you a better hunter. Watch and we think you will agree. The purpose of establishing the Slam is to bring hunters to a whole new concept in trophy hunting. It is NOT about Boone-and-Crockett or Pope-and-Young score, but a trophy-class experience, traveling the range of the species meeting new challenges in varying habitats. "We also emphasize the people who hunt in differing geographic regions," says Kroll, "there are a lot of traditions to experience and enjoy." We have edited the entire 2014 Dr. Deer's Whitetail World Field Day videos and they are available in the Members' Section (Dr. Deer's Reading Room, Educational Videos) for your use. These are searchable by topic or you can just browse through them. They represent the most comprehensive collection on managing the whitetail landscape available. Watching the videos is the next best thing to being there for the day! We feel these alone are worth joining our membership section, with many more materials soon to follow. "I am excited about adding these videos, as well as additional DIY topics both to our public and member's page section," says Dr. Kroll. Please contact us if you have any questions from these videos, or any other topic for that matter. Visitors to the site continue to be amazed that Dr. Kroll does answer each of them. Dr. James C. Kroll and Emilio Paris proudly show off the world class stag Doc harvested after a long stalk with cameraman, Mike Emory. Dr. Kroll has returned from Patagonia where he filmed a free-range red stag hunt for North American WHITETAIL TV. He was hosted by one of South America's best known and successful outfitters, Emilio Paris, who is well known for waterfowl, upland game bird and big game hunting at its finest. For Doc, this was a return to a place he once worked more than 35 years ago; a place about which he has many wonderful memories. Estancia Pilolil is a huge property nestled among the stepps of the Andes near the Chilean border. The property is incredibly managed as a wildlife paradise. One valley had so many stags congregating for the roar that Doc and Emilio renamed it, Stag Valley! "This is a fantastic operation, first class in every way," smiles Doc, "if you are lucky enough to be one of the few that hunt there, it will be a hunt of a lifetime!" Doc and his cameraman, Mike Emory, took on a very long stalk; taking a world class stag with his TC Venture. Friend, John Butler of Buck Forage Products also took one of the largest stags ever for the Estancia, which should go into the record book. Look for the hunt next year on NAWT TV. We just uploaded six new videos in Dr. Deer's Public Reading Room from the 2014 Dr. Deer's Whitetail World Field Day. Check them out! They cover topics such as electric fencing, dual purpose food plots and Buck Forage Oats. The 2014 Turtle Lake Necropsy live broadcast was a huge success! Now, we are offering the entire day in 11 segments, the first of which is available in Dr. Deer's Public Reading Room. The videos will teach you a great deal about how to determine the health of your herd, as well as some facts you did know about deer. The remaining 10 segments will be available to members on 1 May, 2014. How long will bucks and does come to a signpost in a staging area? A signpost is a special type of rub on which bucks and does deposit scent for communication. It is the "social media" of the deer world! Signpost occur in two places, near sanctuary beds and in staging areas. A staging area can be found adjacent to a doe feeding area, and is characterized by numerous rubs and scrapes. Bucks come to staging areas just at dark and stay there all night, leaving well before daylight. The scent on signposts comes from a mixture of forehead gland and tarsal gland chemicals, which can be produced and deposited by bucks and does. This slide show from a trail cam placed looking at a signpost from November 2013 to April 2014 will amaze you, check it out! Bob Wallace of Chestnut Hills Nursery just notified me that his Dunstan Chestnut trees will be available on a first come, first served basis at Walmarts in March. Get to your nearest store fast, they won't last! Click Here for a listing of stores handling the trees. Aging and Judging Whitetails is an important skill, both for the manager and hunter. 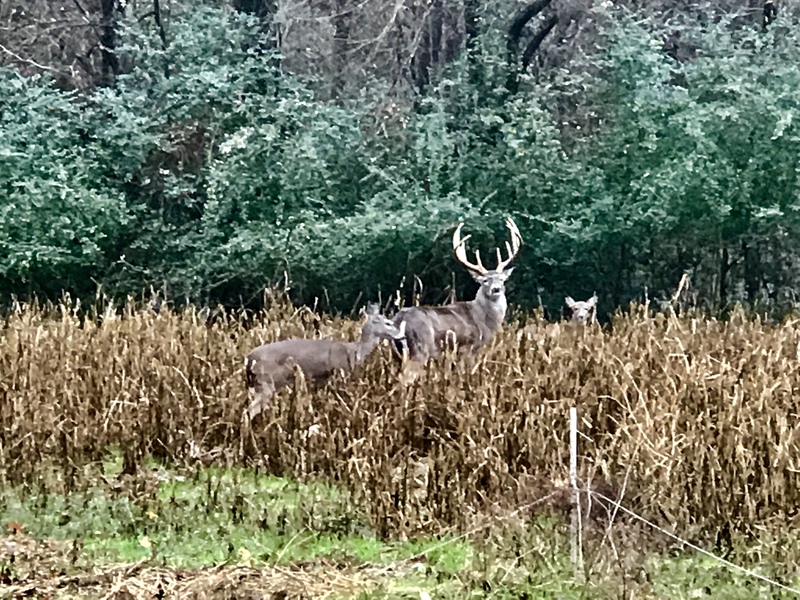 NACOGDOCHES, Texas -- If you ever doubted change was an essential part of whitetail deer hunting, put a little pressure on your deer herd and see how quickly they adapt. Change, though, hasn’t always come so quickly in the deer-hunting world from a technological aspect. But things just got better. Dr. James Kroll, known to many as Dr. Deer and the “Father of Modern Whitetail Management,” has spent the last four decades at the forefront of whitetail deer management, training wildlife managers at Stephen F. Austin State University. Today, Dr. Kroll’s lessons are available to the world in the form of on-line education that all deer managers and deer hunters will not want to miss. Dr. Kroll is bringing his knowledge to your computer through a virtual classroom. The courses, 22 in total, offer would-be managers and hunters an opportunity to become accredited in whitetail deer management through an online Game & Fish University. Dr. Kroll’s classroom is now as close as your laptop. His lessons on whitetail management are designed to fill a void between the science of managing deer and the mythology of deer hunting that has driven the market place for decades. Dr. Kroll and Ben H. Koerth, Whitetail Research Scientist with Dr. Deer, Inc. provide a “from the horse’s mouth” program, delivered by the folks who discovered much of the current knowledge about whitetails, as well as pioneered many of the modern management methods for the species. This program offers courses focusing on the three important aspects of managing the most popular game species in North America, the white-tailed deer (Odocoileus virginianus). The courses begin with detailed discussions and demonstrations on the basic biology, ecology and behavior of the species; then, proceed to practical aspects of habitat management, including native forage management strategies, food plots and supplemental feeding/nutrition. Reproductive biology and nutrition are emphasized. The courses include the most critical aspects of wildlife management: people management and economics. Finally, white-tailed deer (as with any game species) are a crop providing both consumptive and non-consumptive values. Hunting skills needed for harvesting and photographing deer are the final focus of the program. Harvesting topics include: bow hunting, firearms, guiding, TV and magazine production and marketing/commercial hunting operations. The final product is certification of competency in all of these skills. Successful completion provides accreditation from the top white-tailed deer research and education program in the Nation­­, the Institute for White-tailed Deer Management and Research. A top natural resource management university soon will accredit the program; providing opportunities for course credit. The courses can be found by visiting https://drdeer.digitalchalk.com/ or by visiting DrDeer.com. FPR MORE DETAILS ON COURSE CONTENT OF AGING AND JUDGING WHITETAILS, CLICK HERE. The course costs $129.95, and members can request a discount by contacting Dr. Deer. Mr. Brad Mitchell of Ranch Remotes visited the Institute's research facility on 4 February, 2014 to discuss further testing of his very useful equipment, which can remotely control spin feeders. Why would you want to do this? Well, those of you living in states that allow baiting, as well as feeding deer, a common problem is the feeder goes off, deer come to feed, then leave before you have a chance to get a shot or to see them adequately. The reason is most of the feeders on the market are controlled by a unit that sets the time, date and duration of feed delivery. Brad has a wonderful work-around, using his Ranch Remote device. It simply plugs into existing wiring and allows you to remotely reactivate feed dispensing with an inexpensive walkie-talkie. Brad has asked the Instiute to test and evaluate his device, and we are in the midst of that work. Everything looks pretty good at this point, so stay tuned for our results. To download information about the 9th Annual Dr. Deer Field Day, click here. Are Spikes Genetically Inferior? Antlers Video DVD Available! No topic causes more arguments in hunting camps than whether or not spiked yearlings are genetically inferior! 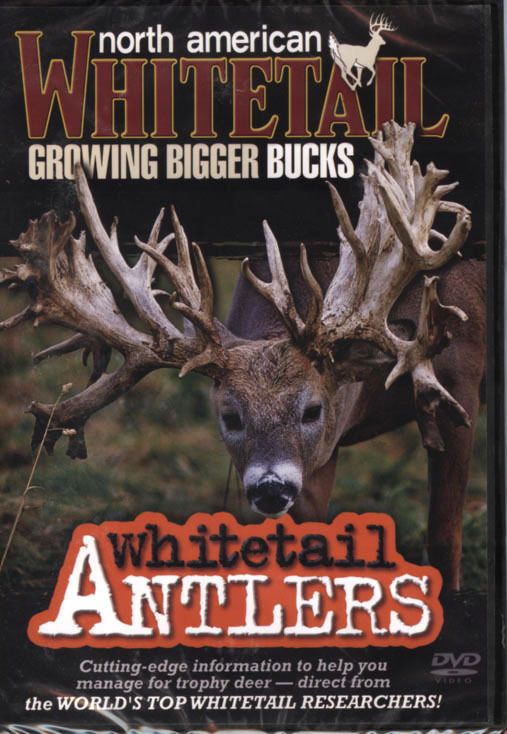 We now have the popular video, Antlers, we produced for North American Whitetail available on DVD. It is only $14.95 for the public and $12.95 for members. More than an hour long, it will answer even more questions about what makes big antlers. No topic generates more arguments in hunting camps than whether or not spiked yearlings are genetically inferior. We are proud to announce our popular DVD video, Antlers, produced for North American Whitetail now is available on the Dr. Deer site. At $12.95 for members and $14.95 for non-members, this over one hour video will settle those arguments, as well as providing never before disclosed information about what makes big antlers! The Annual Archery Trades Association Show is a great place to meet with old friends to talk deer and history. One of Doc's best friends is North American Whietail Magazine Executive Editor, Gordon Whittington (left). Don't let the tie fool you, Gordon is one of the best deer hunters in the Country! The two buddies have hunted all over the range during the last three decades. It was in the single digit temperatures when Dr. James Kroll and Susie arrived in Nashville January 6 to attend the annual ATA Show. We enjoy this show so much because its a time to hang with old friends such as Gordon Whittington and Tom Miranda, comparing notes on filming challenges and experiences during the 2013 season. It also is a time to discover new products and spent time at booths of Dr. Deer partners. So Doc spent time at Nutra Deer and Boss Buck Feeders, talking deer management with attendees. "I enjoy finding out what the public needs, and talking with folks like Nutra Deer's, Jeff Williams, and Boss Buck's Tom Boyer about new products to meet these needs. Doc also got to visit with Dennis Fink of Ozonics and Rick Bednar of Ten Point Crossbows, two of Doc's favorite hunting tools. We are proud to announce the Annual Dr. 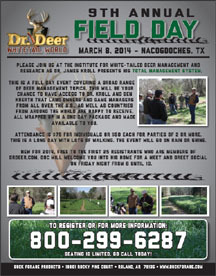 Deer Field Day is scheduled for March 8, 2014 at the Institute for White-tailed Deer Management and Research Facility near Nacogdoches, Texas. The event attracts over 100 landowners, managers and deer hunters each year. "This year we once again will showcase our latest findings and management strategies on everything from planting mast trees to forage banking to landscaping your property to make it a Deer Factory. Registration is now open at a cost of $75 per person ($100 per couple, father-son or daughter), and includes the entire day's events, drinks, barbecue lunch and educational materials.Go to buckforage.com to register or for more information. Wayne Sitton, Director of Northern Operations, has added a special segment to the site (click here), providing regular updates on what is happening up north. This is a must see and read, not only for those of you living and working up north, but anyone intersted in what is going on in the North Woods. Just go to the About tab, and then to Wayne's section to see what he is reporting. Now that Christmas is behind us and we prepare for the New Year let's not forget about our deer herd and habitat. TODAY is the day to start planning for next season's success. For most of us die hard deer managers, Santa brought us a couple new toys and we can hardly wait until next fall to try them out; and if your like us, next fall seems like a lifetime away! We spend our winters dreaming of spring break up so we can fire up the tractors, hook on to our equipment and get to work on our food plots. This is certainly what dreams are made of and in a perfect world we could store our deer in a barn, brush them, fondle their antlers and do all we could to make their winter pleasant so they could start growing new antlers a little earlier in the spring. Unfortunatly, winters for them are not all that kind. We are experiencing more snow than normal and stretches of sub-zero temps which is not doing them any favors where health and winter survival is concerned. One of the most common complaints we hear in my neck of the woods is that winter kill could be prevented if we could only feed deer. Reguardless of which side of that debate your on the fact remains that in areas where bovine tuberculosis or CWD are present a lot of states have made it illegal to feed; right or wrong that's just the way it is. At this point many folks just throw up their hands and blame the states for poor managment and their desire to see all the deer dead. At most levels hunters view the individual biologist, regulators and representatives as people who are barely capible of finding their way to work each day. However, when you lump them together we give them credit for the ability to create and launch great conspiracies against us as hunters! Truth is these people are tasked with the health issues of our wildlife and I trust they are doing what they deem right and scientifically supported for health of the herd and sustainability of the species. These people also have to deal with us hunters which as you know can be very difficult, we are all pasionate about our hunting heritage, lifestyle, and certainly believe we know better than the people who are currently in charge. So what can we do other than get mad and point fingers you might ask. As important as nutrition plots are during the summer months the actions we take during the winter are as critical, however, you don't see anyone holding seminars or selling products that get us exited for the winter months "deer managment". Our northern clients work just as hard or harder from December to April as they do during the summer and are seeing great benefit from winter efforts. If you are truly a serious deer manager then pay attention to what I am about to tell you. Cold weather is not necessarily what kills deer. The mortality comes from lack of nutrition, inadiquate thermal cover and the deep snow which limit their ability to move freely as the need arises. So what do we do? Pretty simple actually, get out of the house and plow as many of your trails, and roads as you can so the deer can move around without burning up what little fat they have in reserve. Keeping your roads and trails cleared will not only allow deer to seek additional nutrition but will give them much needed excape routes in which to avoid predators. If you are fortunate enough to have pretty good food plots at this time of year, plow across them so the deer can have a little easier access to the remaining crop. A little pre-planning might cause you to consider a different species of plant in your plots next season if you think about it being there under the snow and ice.... if your willing to spend a little effort keeping it avilable to your herd. You also should think about your forestry program and conduct as much of that during the winter as possible. Timber managment is something you should be doing anyway and if properly done will aid greatly with winter nutrition by putting forage on the ground and keeping regeneration down in the "deers world" where they can reach it. Next you need to think about winter thermal cover and windbreaks which is another topic not talked a lot about because it's not as "cool" as planting crops but equally as important. How many of us have hunkered down on the south side of a fallen spruce tree during the late muzzle season, I bet most of us. What do your deer look for when the north winds howl and snow is blowing side ways....the same thing you our I would look for, shelter and wind block. Your spring plans should include efforts to improve or enhance areas that provide winter shelter. Finally and one that often ends in dispute is stress. We all enjoy the outdoors and like to take our kids and grandkids to the woods during the winter to snowmobile and do other winter activities. While our deer are attempting to find nutrition, conserve fat and energy the last thing they need is a snowmobile screaming thru the middle of their house. I am certainly not saying stay off your property and not enjoy it in every way possible but be consious of your activities and try to reduce stress on the animals as much as possible during the winter months. I am in hopes these tips will cause you to pause and think a little more about winter managment practices you can do that will provide better results in your managment efforts. They are certainly not as attractive as a cold beer on a hot day sitting on a tractor bragging to our friends how much seed we got in the ground but I can assure you it is equally important. Until next time from the Dr. Deer Team we wish all of you a Healthy, Safe and Productive New Year. Be safe, be warm and get out and do something for your deer! Our new video showing a necropsy (autopsy) of a buck that died from Epizootic Hemorrhagic Disease is now available to members. Go to the Members tab and then to Dr. Deer's Reading Room, then to Educational Videos. You will learn how to recognize the tell-tale signs of the disease in your deer. Warning: There are graphic images in this video. Dr. Kroll recently acquired a whitetail jawbone from southern Florida that has been estimated to be about a million years old. 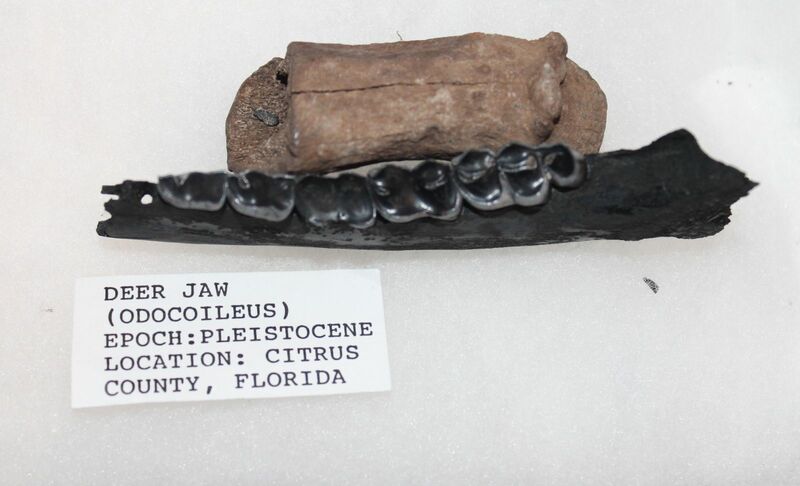 The jawbone was found in a Seminole midden and shows the signs of having been burned. "I am not certain of the geologic age," says Dr. Kroll, "but I can tell you with all authority the deer was 6.5+ years old when killed." Incidentally, this find comes as Dr. Deer prepares to release the first online education module (Aging and Judging White-tailed Deer). 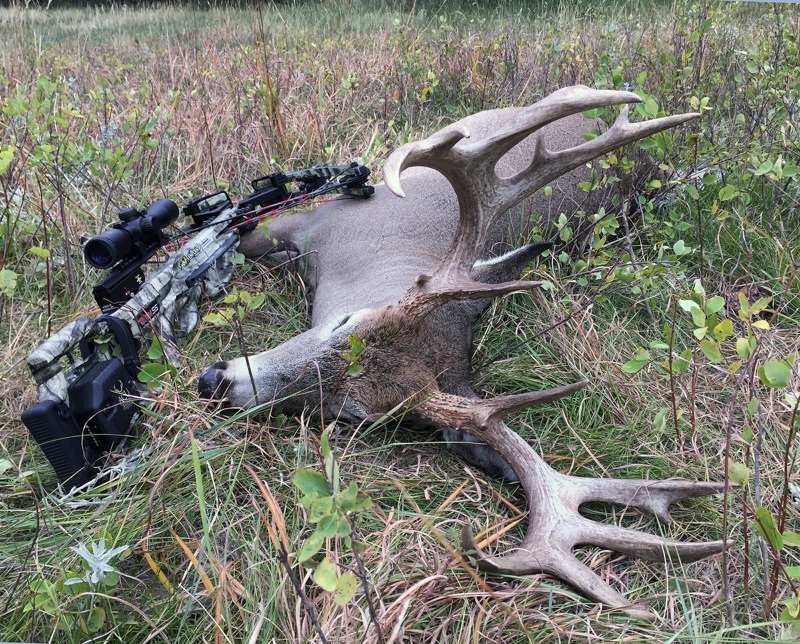 Dr. Kroll recently harvested a tremendous buck with his Ten Point Crossbow. Yet, harvesting a great trophy is only the beginning of the enjoyment of deer hunting. 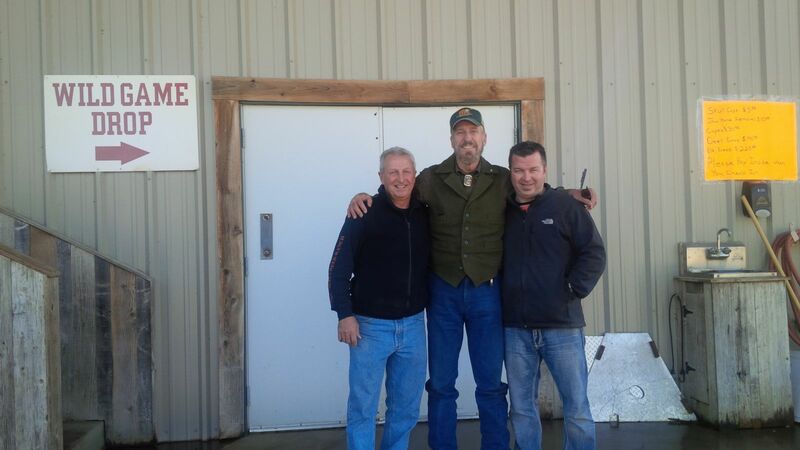 On the way home, Doc dropped off his venison at Cinnamon Creek Processing to receive their very special treatment! You see, venison is not about chili meat, summer sausage and jerky anymore; its about enjoying one of nature's most healthy and tasty food items. This deer will receive royal treatment, which will be passed on to Doc's family and friends. Teryaki strips on a stick, meatloaf, bacon wrapped filets, cutlets and snack sticks will be the product of this deer. The next one harvested will end up as double meat tamales, meat balls, bratwurst, and other tasty culinary adventures. Doc recommends you NEVER cook your steaks and filets beyond medium rare for maximum taste and tenderness. "I cannot see why folks over cook their venison steaks and cuts," says Doc, "it is the healthiest and safest food item you can have!" Cinnamon Creek Ranch has been operated by Joe Mussachio (left) and his son, Joey (right) for years, and is the most popular game processing facility in the DFW Metroplex. Hunters from all over Texas and Oklahoma bring deer, elk, wild hogs and other game animals solely to Joe and Joey, because they know their animals will be handled with top of the line meat processing care. They feature dozens of tasty variations to select from. 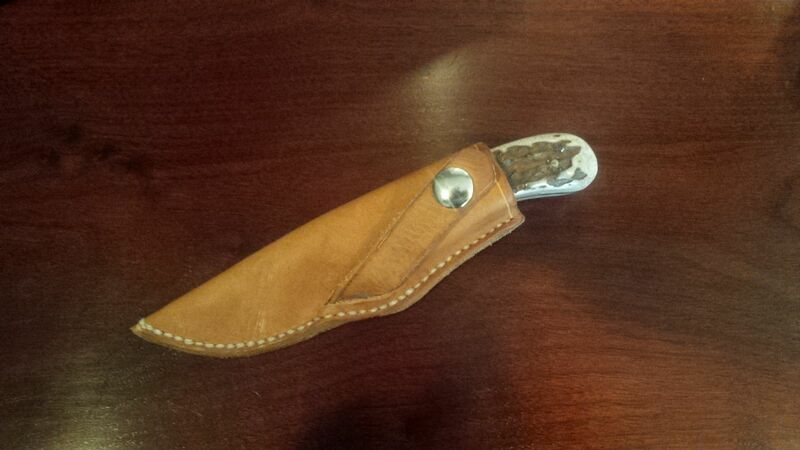 We have received many inquiries about Dr. Kroll's custom cross-draw knife and how to get one. In fact, Dr. Kroll's unique knife has fostered a flood of similar products, but these are the originals. Dr. Deer recently commissioned Carroll Elston of Dublin, TX; one of Texas' premier custom knife makers to produce a limited edition, 10 knife only, knife for the public. Each knife is hand-made, consequetively numbered (2-10), with each handle made from one of Dr. Kroll"s bucks harvested for North American Whitetail or Dr. Deer. The registration number and "Dr. Deer" is etched on each blade. 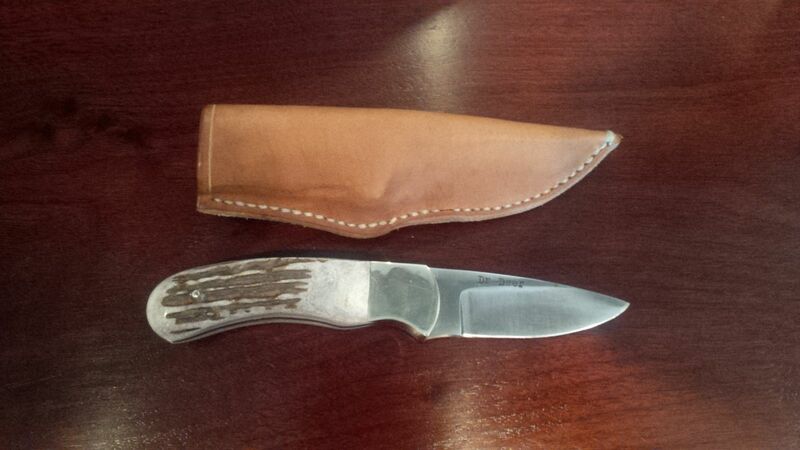 Even the sheath is hand-made and numbered, with a snap for easy attachment to your belt. We are offering a 10% discount to Dr. Deer members. Go to the Products page to order your knife and it will be sent right away. Remember, there are only 9 to be sold at the reasonable price of 199.95 (minus 10% for members). Dr. Deer returned to Mexico to work with Alfredo Lopez of the San Isidro Ranch which borders the Rio Bravo (Rio Grande) River. "This has to be one of the best properties I ever have seen in Mexico, and the Lopez family is doing an incredible job on this 1,200 ha (2,964 ac) property. It has everything you would want to produce monster whitetails, and fronting the river is a real "game changer" since it allows irrigation in an otherwise arid climate," says Dr. Kroll. We will keep you up on progress as the management plan Dr. Kroll produced for Alfredo unfolds. Aflredo Lopez and Dr. James C. Kroll stop on the southern banks of the Rio Bravo, where the river turns to white water rapids; one of the most beautiful spots on the river according to Dr. Kroll.